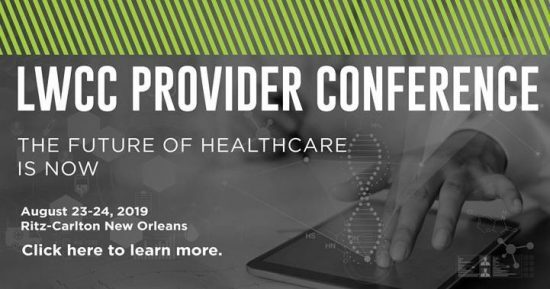 Mark your calendars for April 23-24 when Joe Paduda will be speaking at the LWCC Provider Conference in New Orleans. Stay tuned for details. Meanwhile, learn more about the event. To discuss a consulting arrangement, please contact Joe Paduda at jpaduda@healthstrategyassoc.com or 203-314-2632. To arrange a speaking engagement or interview, please contact Helen King Patterson, APR, King Knight Communications, helen@kingknight.com or 813-690-4787.